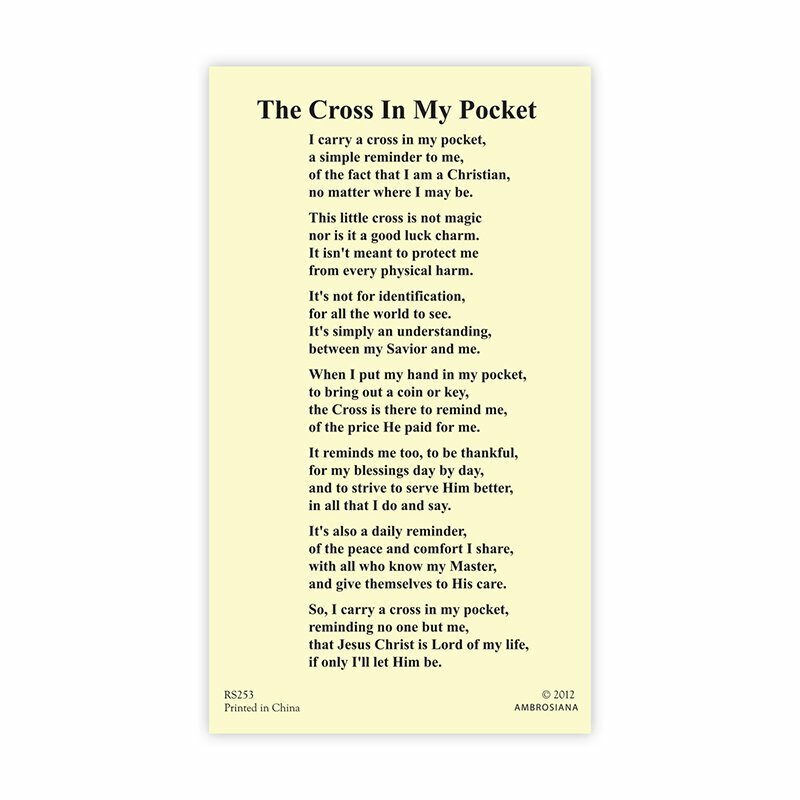 I carry a cross in my pocket A simple reminder to me of the fact the I am a Christian no matter where I may be. This little cross is not magic nor is it a good luck charm. It isn’t meant to protect me from every physical harm. It’s not for identification for all the world to see. It’s simply an understanding between my Savior and me. When I put my hand in my pocket to bring out a coin or key. The cross is there to remind me of the price He paid for me. It reminds me, too, to be thankful for my blessings day by day and to strive to serve him better in all that I do and say. It’s also a daily reminder of the peace and comfort I share with all who know my Master and give themselves to His care. 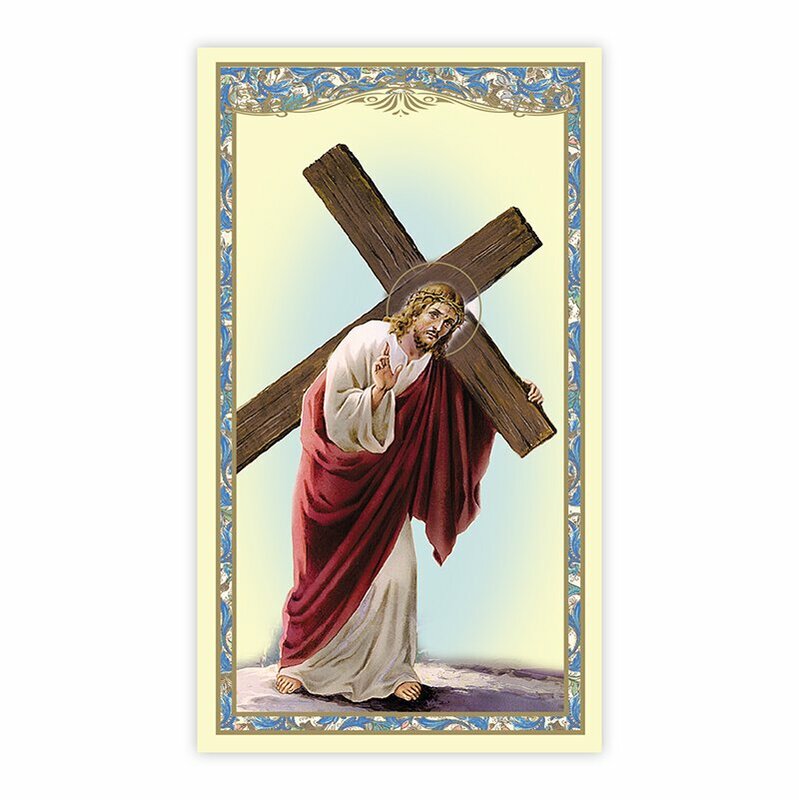 So, I carry a cross in my pocket reminding no one but me; that Jesus Christ is Lord of my life if only I’ll let Him be.